Stand Up For Stockwell: Don't Forget to Fill in your Census! Don't Forget to Fill in your Census! 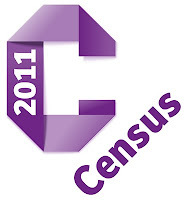 27 March was Census Day, and you have only a few days left to fill in your Census form. This is a chance to ensure our community gets the right amount of money based on our needs, and every form is worth nearly £300 in funding from government. Census forms need to be filled in by law, and refusing to complete one can lead to a fine of up to £1,000. The forms take about five minutes to fill in, and it only comes around every ten years. We want to encourage black and ethnic minority communities to fill in the forms so we get an accurate picture of Stockwell's diversity. In particular, we want to ensure good representation from the Portuguese speaking community. This year, the census has the option of recording your identity so groups can fill in "Portuguese", "Brazilian", "Angolan" etc so we get a better picture of how many Portuguese speaking residents live in Lambeth. Portuguese speaking community leaders have started holding sessions to help people fill in their Census forms.